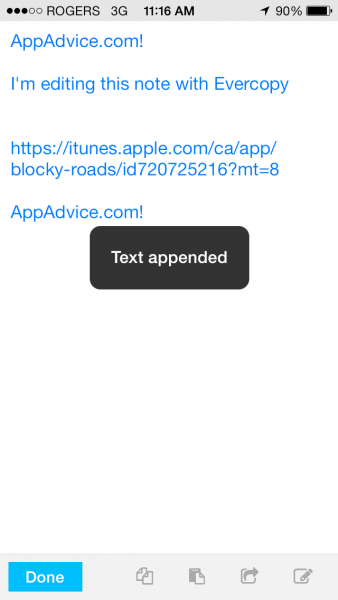 Evercopy - Cloud copy paste & quick notes (Free) by Webows is a light app for storing notes and other snippets of text for future reference or access on other devices. It requires a Dropbox account, which is great for both developers and users since we get to own our own data. After linking your Dropbox account to Evercopy, all of your notes will be synced effortlessly and instantly across devices. 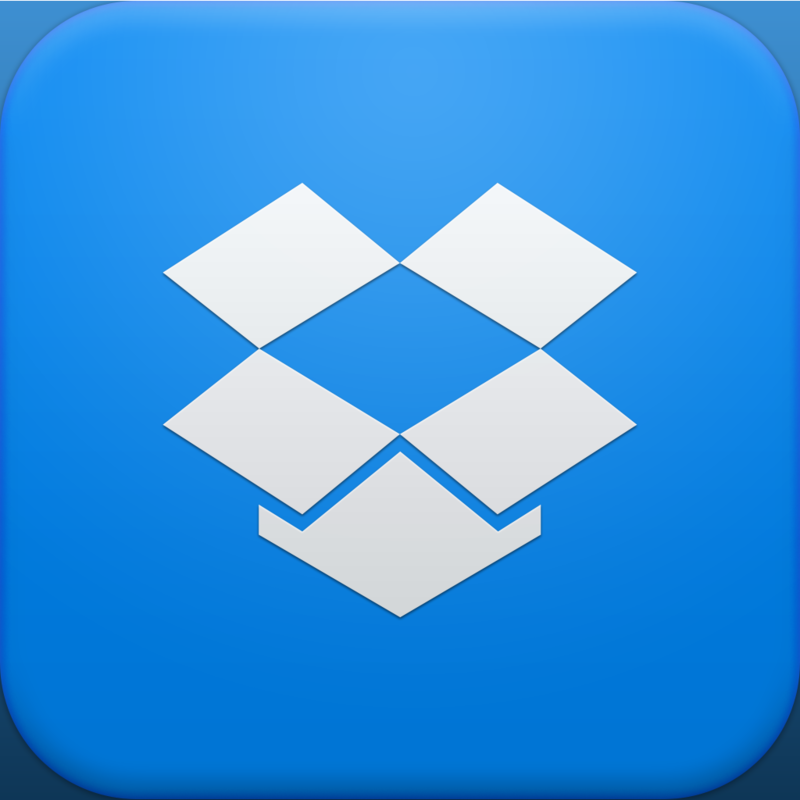 The app uses Dropbox's Datastore API, meaning that users cannot access their files through the traditional file system. 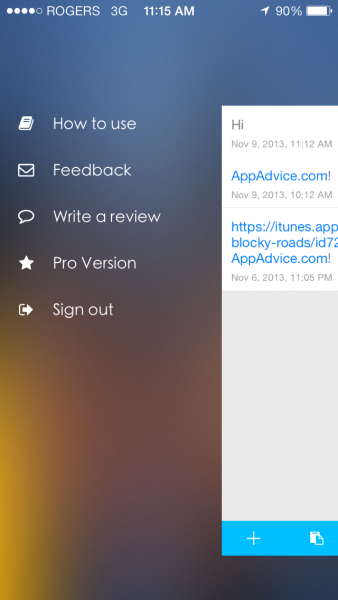 Instead, they will sync back and forth instantly, acting more like iCloud's Documents & Data sync. Getting text into Evercopy is quick and easy, and can be done by tapping the + or clipboard icon located on the bottom tab bar. Depending on which option you choose, the app will then paste any text you have on your clipboard into a new or existing note of your choice, or create a blank one for your typing pleasures. 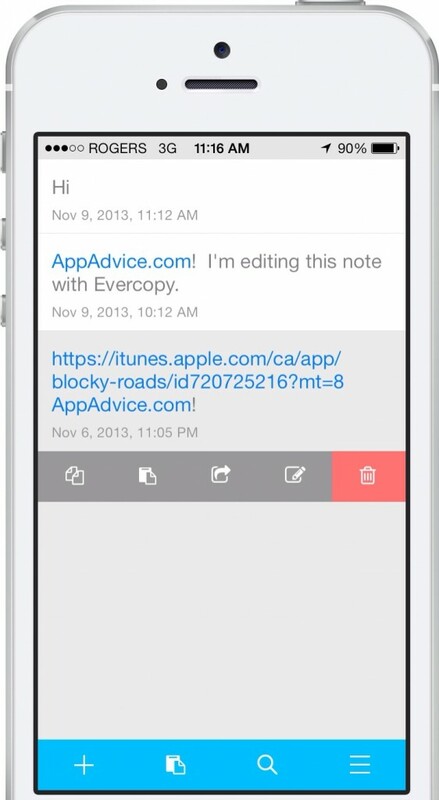 The only export options in Evercopy are through copying the text to your clipboard, or via iOS' native share sheet. These options can be accessed in the editing view, or or by swiping sideways on a note from the main menu. If you are at the main menu, you will find that tapping on the “hamburger” button at the bottom right will open a side menu that allows you to upgrade to the pro version of Evercopy for $1.99. This will allow you to bypass the limit of 20 notes, while supporting the developer at the same time. This pricing system confuses me. Not because there is an in-app purchase, but because the app is $0.99 to start with. Why make a customer pay up front, and then again in the app? 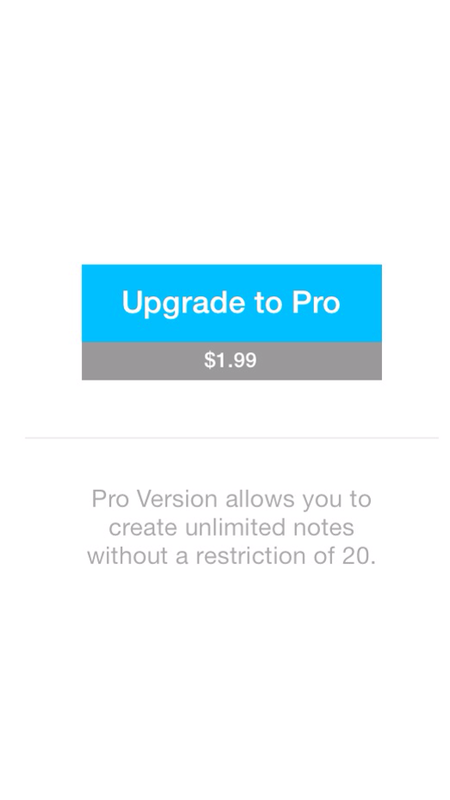 This means that you are paying $0.99 for limited functionality to begin with, and this does not make sense at all. 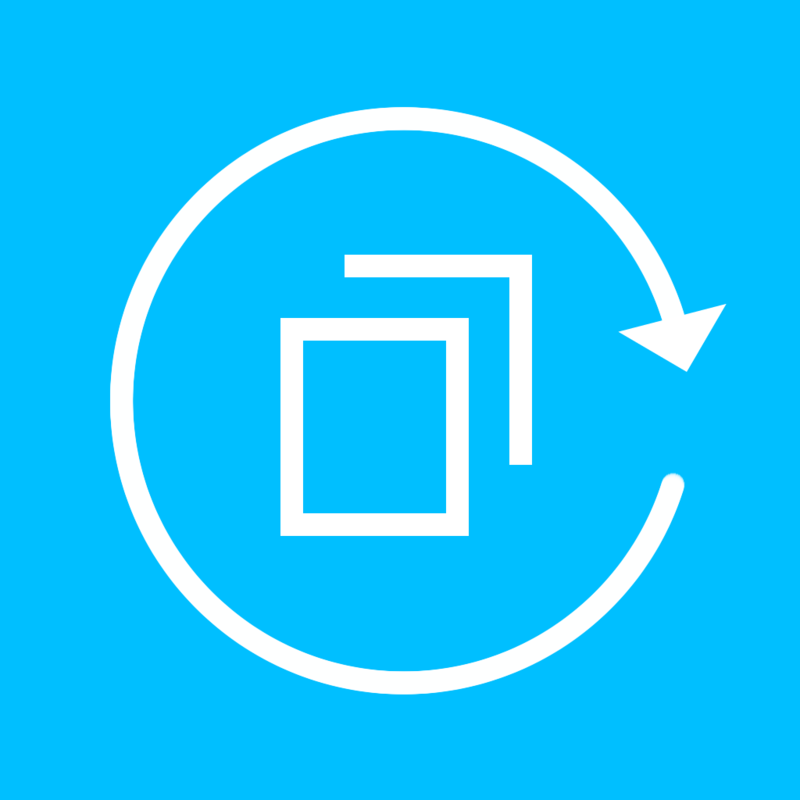 Overall, I like the instantaneous sync of notes and quick actions found in Evercopy, even if the pricing mechanism is not quite as polished as it could be. 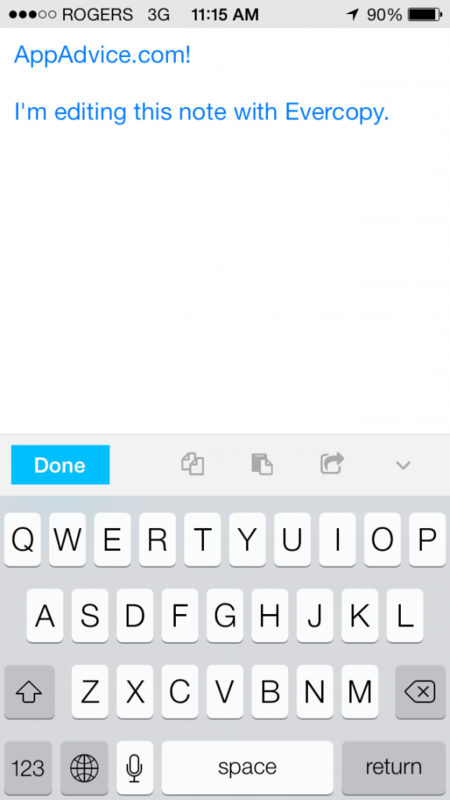 As far as I can tell, it is one of the fastest ways to send text back and forth between devices. You can access Evercopy on your iPhone or iPad by purchasing the app for $0.99 FREE, or by using the HTML5 web interface over at http://www.evercopy.net/. 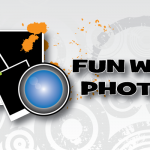 Remember that you will need a Dropbox account. Update: Due to the overall response to the odd pricing mechanism, the developer of Evercopy has decided to make the app free. This is a smart move, as customers can now choose to upgrade to the pro version and only pay once.